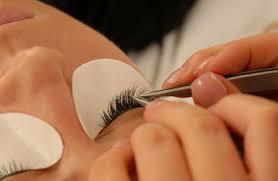 Accredited training in the application of single lash extensions. Application of individual eyelash extensions including maintenance, instruction on infill's and removal. You must have a qualification in level 2 beauty therapy or level 2 beauty specialist or award in eyelash and eyebrow treatments to take part. Instruction takes place over 2 evenings to allow you to follow a procedure through from application/maintenance/removal, learning trouble shouting techniques along the way.